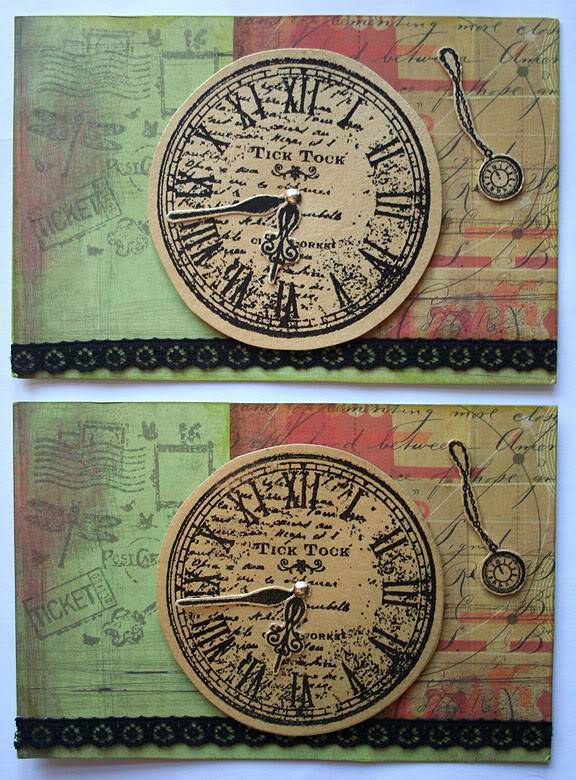 Love the colours, Alison, and the clock is fabulous - is it a stamp? i love the lace border. love the multi colour backgrounds. looks like a lot of work. Yes they are stamps Lynda. Ooh, it's lovely, Alison - which make is it? The big one is by 'HOTP' its the first thing of theirs I have bought since Canny went out of business, and the little one is by 'cArt-us' just a little packet with two watches on for £1.50. Glad you like. and these cards are really smashing Alison. And do the hands move too? Looks like it, nice soft colours and another thumbs up for the clocks. I like these Alison, lovely colours. yes Karelyn the hands do move but not so much that they flop to 6.30 if propped up.